Work with audioXpress to start compelling conversations and reach new customers with your message. It’s time to get the most out of your marketing budget and amplify your sales. audioXpress will help you create and deliver engaging, shareable content that will strengthen your brand and drive traffic to your sites. Sponsor a blog post on audioXpress.com, an in-feed item in The Audio Voice newsletter, or both. 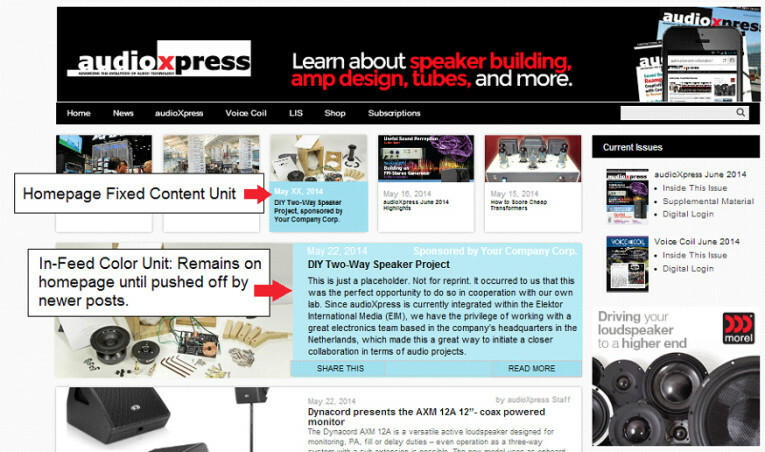 Engineers, enthusiasts, and DIYers share content (e.g., articles, and PDFs). Via our sponsored content units, you can tie your brand and message to the high-quality content our readers share and promote. That’s right, your customers promote your brand. This is an opportunity to create immediate brand awareness by sponsoring recurring high-quality, audioXpress-created content. The “in-feed” editorial unit clearly promotes your brand as the sponsor, and your promotion continues naturally when readers click through to the full content page. Small companies: make some noise in the crowded audio industry and reach a wider audience. Big companies: get to know our community, engage our readers in thoughtful ways, and gather data to use in future sales campaigns. It’s time to amplify your brand and drive traffic to your site(s) and/or social channels with a custom content campaign. 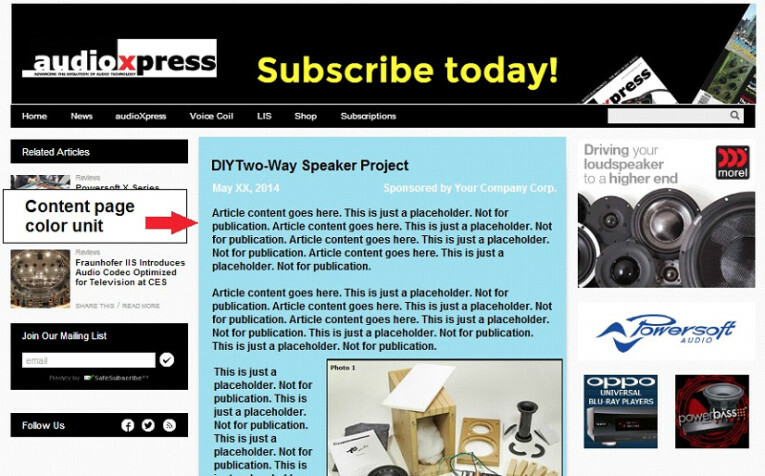 Create your company’s own custom content and have it appear as a blog post on audioXpress.com and as an in-feed item in The Audio Voice newsletter. Our readers will discover your brand and learn about your products as they read engaging content. It’s an unobtrusive way to provide potential customers with immediate value as you engage them on audioXpress.com and in The Audio Voice newsletter. Give your brand a voice and launch a product in a single campaign. Talk with us about all the possibilities: articles featuring relevant keywords, customized advertorials, customized copy writing, social media promotions, and brand pages. Buy a set number of leads based on your budget! Promote your content and get the leads. Open-ended (until order is satisfied). We include an editorial item in The Audio Voice e-Newsletter linking to a data form (the form can offer a free whitepaper or other options). Bi-weekly or monthly basis. We also promote the offer via any remnant space available be it in print or web post. Receive native exposure across multi-channels to our community. Just supply assets and basic materials. KCK Media handles the rest.